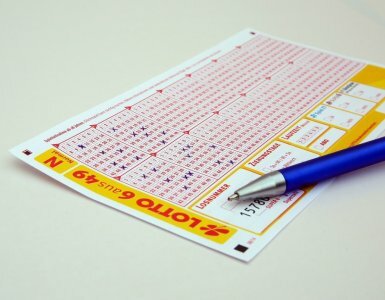 The UK is known to be home to a variety of lotteries that can be played by UK residents and people living outside the country. So many lucky winners have had their lives transformed by participating and winning some of these lotteries. This is definitely up there with the best lotteries in the UK. It is one of the most commonly played lotteries with many of the participants based outside the shores of the UK in countries like the US, South Africa, Norway, Australia etc. 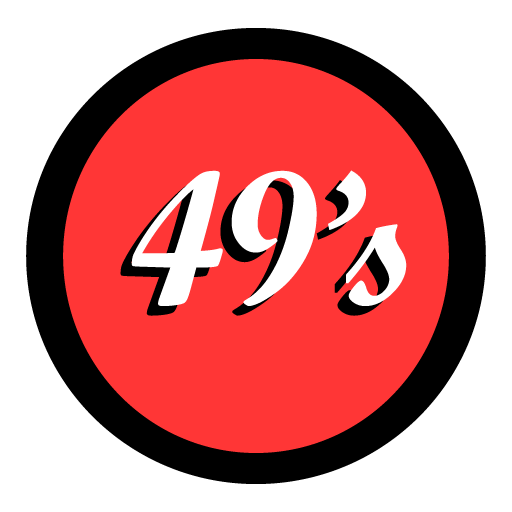 While in most UK lotteries players have to select numbers from 1 to 59, the number pool for UK 49’s is 1-49. This of course increases the chances of players winning the jackpot. Another amazing thing about the UK 49’s lottery is that you can win by just accurately guessing one number. Most other lotteries require that you play at least two to three numbers. The UK 49’s lottery is played twice every day. The first game, which is played around lunchtime, is called the lunchtime lottery while its evening game is referred to as the teatime lottery. This was the original UK lottery and has been in existence since 1994. Players of this lottery must play six numbers and match at least two numbers to win any money. It is probably the most popular UK lottery, though, it is a little more difficult to win. The draws for this lottery are held twice a week, on Wednesday and Saturday evenings. If you’re looking for a lottery with a huge jackpot, then this definitely is the best out there. Its jackpot of €190 million is one of the biggest in the entire world. There is also a €17 million jackpot win if you aren’t too ambitious. To win this lottery, you must accurately guess the 5 main numbers that all range from 1-50. Prospective jackpot winners must, however, predict 2 additional lucky star numbers between 1 to 12. The EuroMillions lottery is accessible to all countries in Europe and is held twice a week, on Tuesday and Friday. Every Thunderball draw gives participating players the opportunity to win the £500,000 jackpot. All you have to do is pick 5 numbers between 1 and 39 and ensure that they match the result. You also get to pick a Thunderball number from 1-14. Matching all six numbers gives you the jackpot. The draws for this lottery are held on Tuesday, Wednesday, Friday, and Saturday. The Millionaire Maker is a lottery that is automatically entered when you buy a EuroMillions ticket. You get the opportunity to win the £1 million prize money in each draw. You also get a raffle number that consists of five digits and four letters when you play your EuroMillions numbers. The Health Lottery is another popular game in the UK as it is geared towards a charity cause. A percentage of each £1 ticket goes to funding health-related programs in the UK. The game itself comprises of 5 numbers and matching all 5 numbers wins you the jackpot of £100,000. The lottery is also held regularly unlike most of the others on this list. There are draws 5 times a week on Tuesdays, Wednesdays, Thursdays, Fridays, and of course, Saturdays. There are also 6 tiers of prizes so you don’t even have to match all the numbers to be a winner. As the name suggests, this is the official lottery for Ireland. You are allowed to pick 6 numbers from 1 to 47, and accurately matching all 6 numbers earns you a lucrative jackpot of €2 million. The chances of a player winning this lottery are probably the best when compared with other lotteries. This is because the number pool the player will choose from is smaller. Draws for the Irish Lotto are held twice a week, on Wednesdays and Saturdays. This lottery provides you with the chance to match up to 5 numbers from 1 to 59. Correctly guessing all five numbers gives you an impressive prize of £350,000. What makes Lotto Hotpicks stand out from other lotteries is that you get the full jackpot prize even if there are multiple winners. Draws for this lottery is carried out on Wednesdays and Saturdays; so this may not be the ideal lottery to focus on if you want to play on a daily basis. This lottery is played alongside the main EuroMillions lottery. The number pool for this lottery is from 1 to 50, and you’re to match all the drawn numbers to win the jackpot of £1 million. You can also win as little as £10 depending on how many numbers you accurately match. The ticket price for this lottery is just £1.50 so it is quite affordable. The draws are held on Tuesdays and Fridays like the EuroMillions lottery. You know what is better than winning the lottery; winning the lottery without paying for the ticket. That is what you get when you play the Free Lottery. With £0, you can win between £500 and £10,000 depending on the numbers you correctly guess. You will have to select from a number pool starting from 1 to 75, so it is definitely much harder to win. Draws for this lottery are held on a daily basis and there is also a weekly draw for the jackpot prize.